Lightning Boy Audio – Thunder Knob Give Away Reminder! Alright.. we’re around the half way point for this great give away. For those of you not knowing what I’m talking about, I’m talking about the Lightning Boy Audio Thunder Knob give away! The Thunder Knob is a great sounding high voltage tube overdrive. Simple.. and just sounds great! You can read about it here – “Lightning Boy Audio – Thunder Knob“. 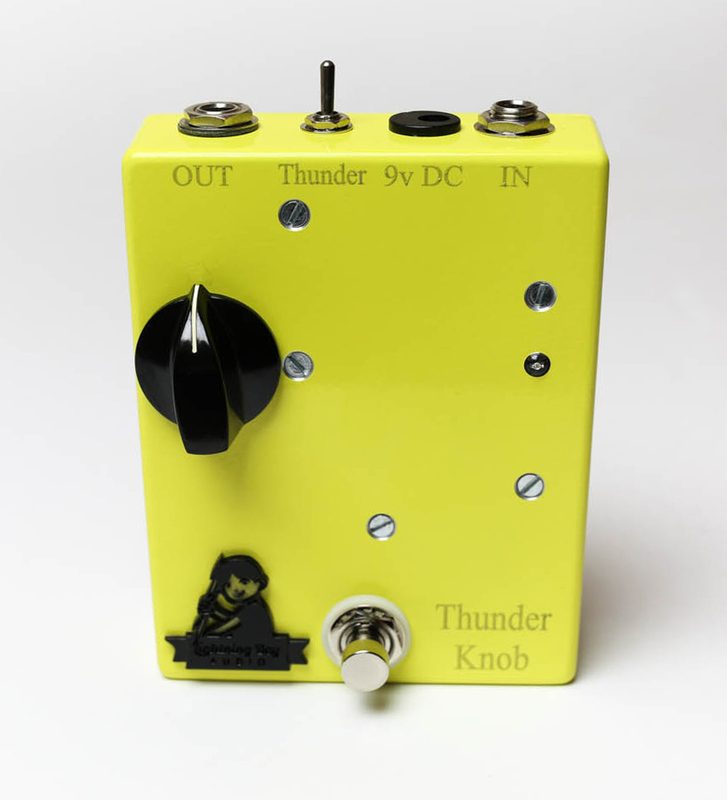 Lightning Boy Audio – Thunder Knob Give Away!! Now before I get to the give away, I would like to send out a special “thank you” to the awesome dudes at Lightning Boy Audio. Please take a moment to follow Lightning Boy Audio on Facebook, Instagram and Twitter! This give away will start today and run until Sept. 18th, 2017 at 11:59PM MST. Don’t miss out on this one, and please help spread the word! We all love free gear, and making these give aways fun and successful for everyone! The post Lightning Boy Audio – Thunder Knob Give Away Reminder! appeared first on Effects Bay.